Like its common British cousin, the Christmas Island pipistrelle was a small, nocturnal bat that could easily have fit into the palm of your hand. It was native to the Australian territory of Christmas Island, which is located in the Indian Ocean, just off the coast of the Indonesian island of Java. Up until around 30 years ago, the population of this tiny bat was relatively healthy. Females of the species would gather in huge colonies that numbered in the dozens, while males preferred a more solitary existence. Their favourite roosting sites would be in trees, in the cavity formed by exfoliating bark or underneath the withering fronds of dead palm trees, which should give you an idea of just how small these creatures were. Their habitat was tropical, with dense rainforest along the plateau of the island, high humidity and temperatures that varied little from season to season. Along the edge of the canopy, this insectivore would have found no shortage of its favourite foods, moths and beetles. 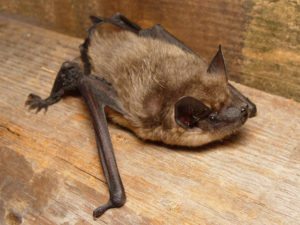 The occasional cyclone would have posed some threat to the Christmas Island pipistrelle, but having survived these storms for hundreds of thousands of years, it’s unlikely that its sudden decline in numbers can be attributed to one or even several extreme weather events. How sad, this is another species our children will only see in pictorials.